Do you have a pair of socks that are simply too cute to cover with shoes? Or maybe one sock from a pair lost in the laundry cycle that is just too darling to throw away? Whatever your reason for saving that lone sock, this simple and practical project turns it into something that will add cheer and charm to your sewing toolkit. 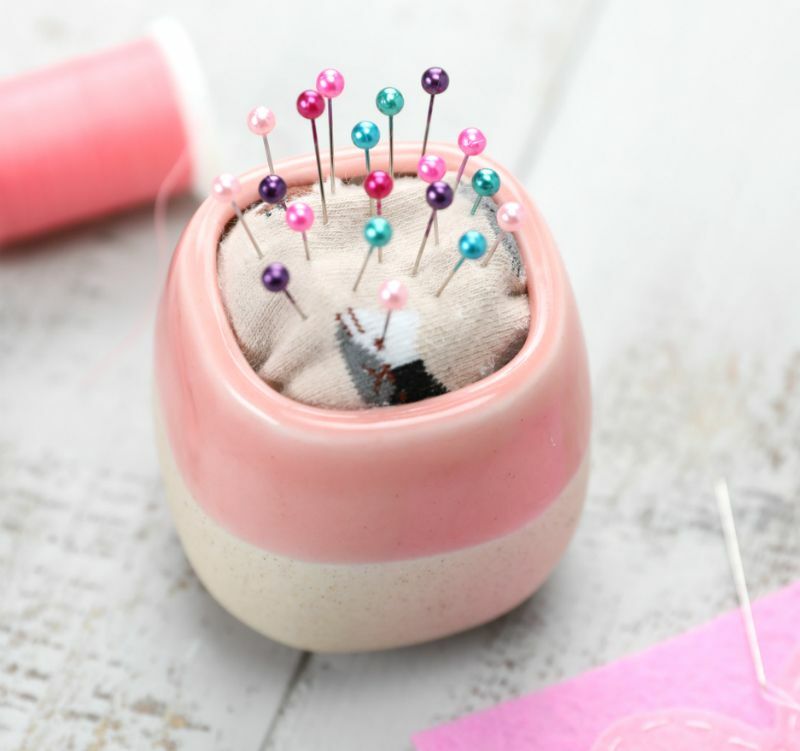 A pincushion is a necessary tool in your home, regardless of your sewing ability. Whether your stitching skills involve simply replacing buttons, or you're an adept quilter, potentially dangerous pins and needles require a corral. This project elevates a fundamental object to a personalized work of functional art. Customize the project with both the sock and container to suit your tastes or sewing room decor. Consider giving this simple, inexpensive DIY project to the seamstress or tailor in your life. 1. Fill the container with the batting, gauging the amount required to fill the container. 2. Remove the batting from the container and place it in the sock. Push it down into the toe of the sock. 3. About 2 inches from the end of the batting, use the scissors to cut off the top of the sock. 4. With the needle and thread, sew a running stitch around the circumference, just above the end of the batting. 5. Fold the edges of the sock inward, forming a lip just above the stitches. 6. Pull the thread taut, like a drawstring. Close the opening of the sock. 7. Stitch this seam closed, knot it and snip the thread. 8. Place the sock-ball into the container, seam side down. Allow the top inch or two of the sock to protrude from the container. 9. Add glue just inside the lip of the container, adhering the sock-ball to the sides of the container. 10. Adjust the sock and fluff up the batting. Add pins and needles once the glue is dry. 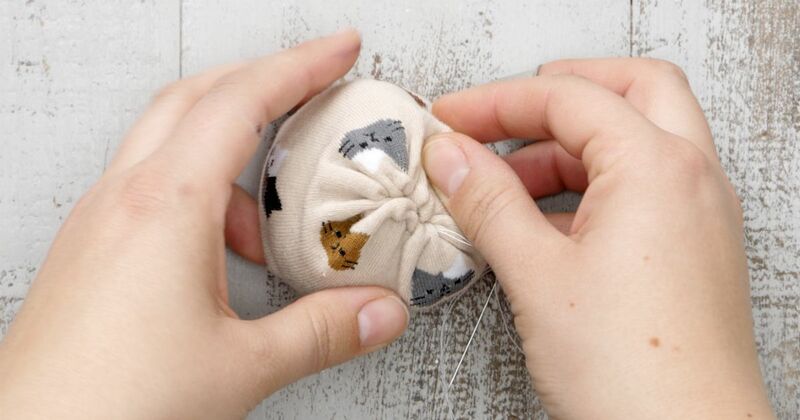 This functional and fun tool adds character to your sewing kit. Enjoy your stitching projects, and be sure to share this amazing one on Facebook.